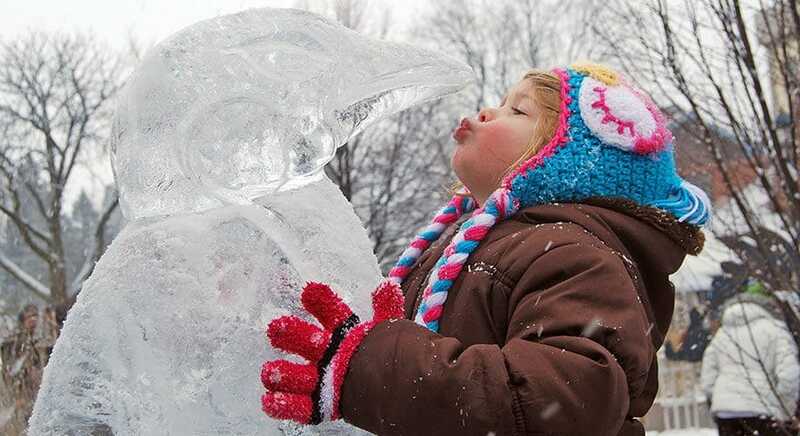 Just ninety miles north of Detroit, the popular Bavarian-themed village of Frankenmuth, will be transformed into a landscape of stunning snow and ice sculptures for the 26th annual Zehnder’s Snowfest. From January 25 through January 30, visitors will watch the progress and vote for the top artistic efforts of carving teams from around the world including Argentina, Canada, France and Mexico. Plenty of other activities will be on tap to warm up more than 100,000 expected visitors. “We’re grateful to have such a terrific team of workers and volunteers from the Frankenmuth community who lend their time, talent and energy to make this event a success,” said Zehnder’s Chairman/CEO Al Zehnder. “We estimate that more three million visitors have enjoyed the festivities since we began in 1992”. The festival begins on Wednesday, January 25, with the annual Michigan Favorite Apple Recipe Contest starting at 10:00 a.m. in the Festival Warming Tent. Amateur baker and cook finalists will be judged in three categories: desserts, pasta and sandwiches. Visitors can enjoy free samples, complimentary recipe books, entertainment and prizes. The contest is sponsored my Michigan Apple, Pioneer Sugar, WSGW/AM and WITL/FM. New this year is the Alumni Collegiate Challenge with five returning teams competing in two ice carving events. Favorite snow art competitions return: World Class, Children’s, State of Michigan and High School sculpting teams. The Professional Ice Exhibition will showcase a 100-block work of ice art highlighting Detroit’s professional sports teams. A variety of music will be heard throughout Snowfest. A special performance of the United States 338th Patriotic Army Band with a full orchestra will be featured on Saturday morning, January 28 in the Warming Tent. The annual fireworks display is scheduled for Saturday at 6:45 p.m.
On Monday, January 30, the 25th annual Chef’s Hot Food Competition and Tasting will take place at Zehnder’s restaurant beginning at 6:00 p.m. 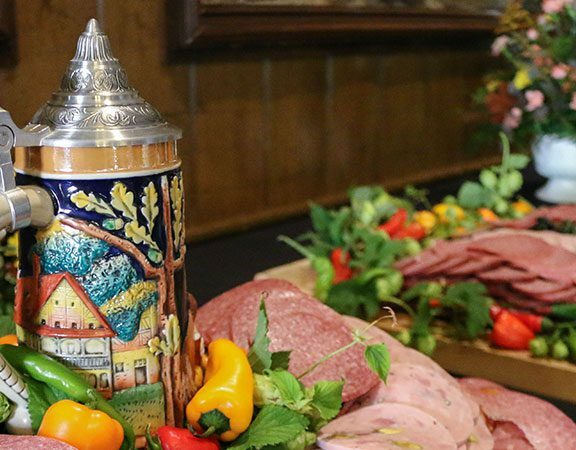 This year German cuisine is featured: A Culinary Salute to Oktoberfest. Food will be prepared by local chefs and area culinary students. Sponsored by the American Culinary Federation/Saginaw Valley Chapter, tickets are $30 per person. Visitors are encouraged to bring cameras and take photos of Snowfest 2017 and enter the annual Snowfest Impressions photo contest to win great Zehnder’s prizes. Click here for more details on the contest. For a complete Snowfest schedule filled with activities, concerts, food, fireworks, entertainment and directions, click here or go to Zehnder’s Snowfest or Zehnder’s on Facebook. 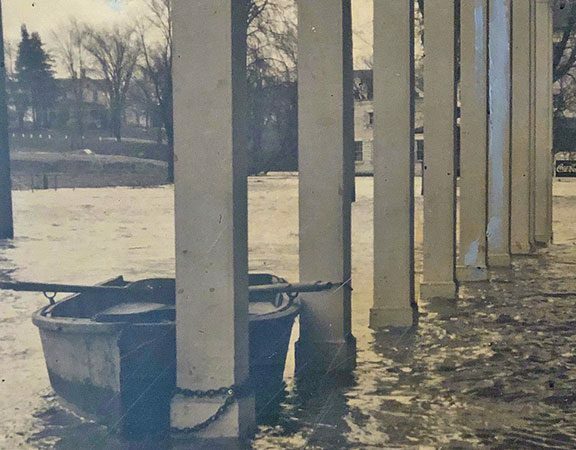 All scheduled outdoor activities and events may be changed due to weather conditions. 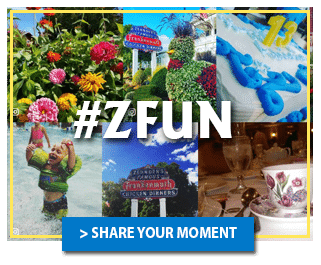 For reservations for ticketed events or information on Zehnder’s Restaurant, retail marketplace, Zehnder’s Splash Village and Waterpark, and The Fortress golf course, call.800-863-7999.